When it comes to choosing tools for gardening and landscaping, you have many options available. Some are better than others for removing larger limbs and branches. 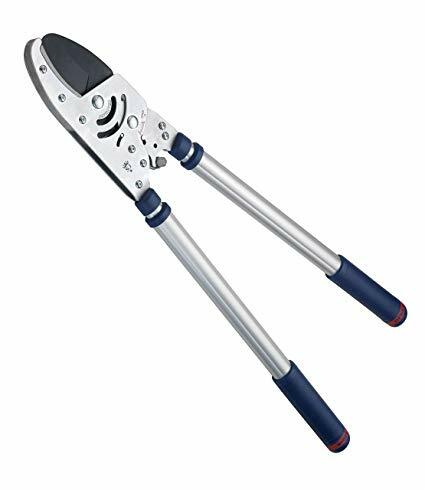 For those who have a lot of trees and shrubs in their yard, it can be beneficial to have a hand garden lopper. 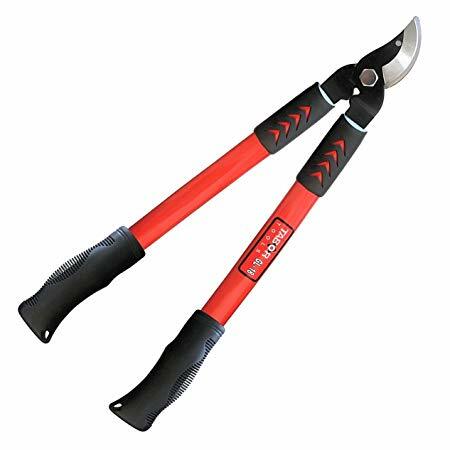 These handheld garden tools are designed to easily remove branches of various sizes so you can prune your trees without needing to hire a professional to save money and make it convenient for you. A hand garden lopper can be very useful for anyone who prefers to do their own trimming and pruning of the various trees and shrubs. These tools are easy to use and most are designed with comfort in mind to prevent excessive tiring of the hands during use. Some loppers are even designed to have a very easy motion so that even those with arthritis can use the tool easily. The following is a list of the 10 best hand garden loppers based on reviews by consumer report. The TABOR Tools Compound Action Anvil Mini Lopper can easily chop thick branches. This garden tool has a 1.5″ cutting capacity so you can use it for trees and shrubs in your yard. The sharp hardened carbon steel blade is designed to last and maintain its sharpness over time. 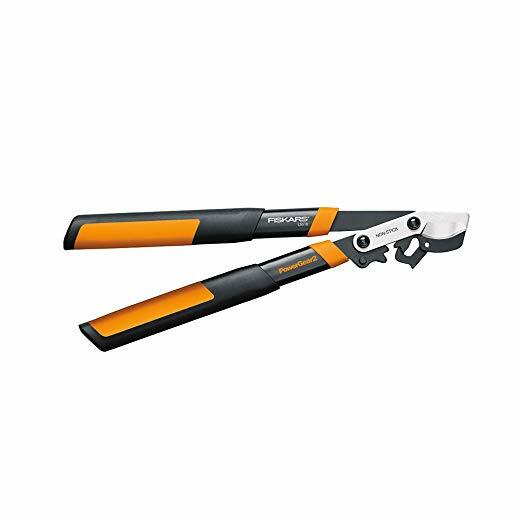 These 19″ trimmer is easy to use so any gardener is able to remove branches and limbs from trees in their yard. The sturdy aluminum handles are resistant to corrosion. The Extendable Anvil Razor-Edge Pruning Lopper can be adjusted from 27″ to 40″ using the telescoping handle. 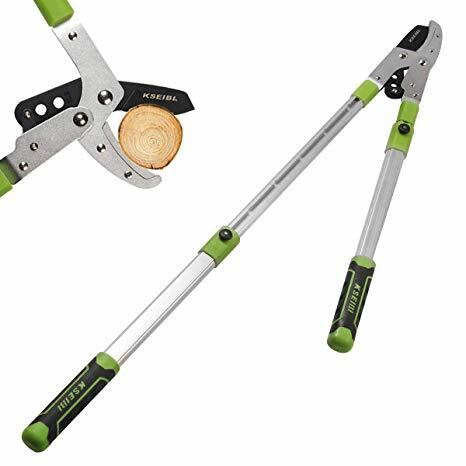 This lopper can cut branches up to 2″ thick and can also be used to prune most saplings. The hardened steel blade is coated with a non-stick TEFLON treatment which makes the blade resistant to wear and corrosion. It’s also easy to clean and maintain. The handle has a thumb release locking mechanism for safety during use. The Spear & Jackson Razorsharp Heavy Duty anvil loppers has a telescoping handle so you can cut limbs that are high above your head. This unit uses ratchet action that allows for easier cutting for thicker and harder branches. It includes a 10 year guarantee from the manufacturer. The lightweight aluminum handles are strong and have soft feel grips which makes them easy to use. The blade is made from carbon steel so that it stays sharp. The Corona Compound Action Anvil Lopper is a budget-friendly garden tool that can help you prune branches up to 1.5″. This tool includes 4 bar compound linkage to triple your cutting power. The fiberglass handles are 32″ with 8″ long non-slip foam grips to make quick work of your pruning. This lopper has a PTFE non-stick coated anvil blade made of high-carbon steel. The blade can be sharpened as needed if it begins to dull over time. The TABOR Tools Mini Lopper is a compact garden tool that works well for pruning smaller branches. This tool can cut branches up to 1″without a struggle. The rubberized grips on the handles provide you with a good grip for easy cutting. This unit has 15″ handles and the unit is lightweight and balanced for ease of use. This lopper allows you to hang it up for storage when not in use. The blade is made of fully hardened carbon steel for durability. 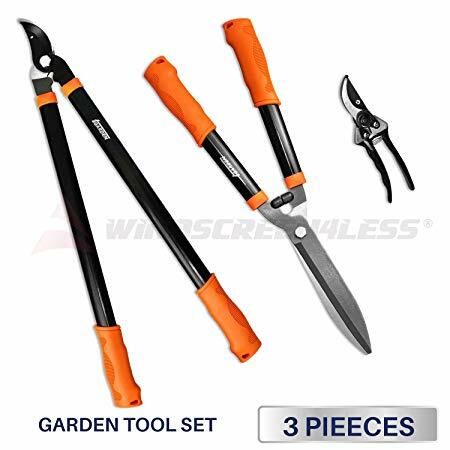 This 3-piece garden tool set from iGarden would be an ideal gift for anyone who enjoys gardening. The set comes with a lopper, hedge shears, and pruner shears. 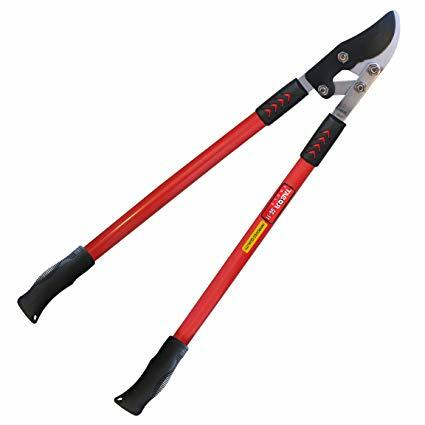 The included lopper has a high carbon steel blade with comfort grip rubber handles to make it easy to prune limbs in your yard. The blade is sharpened with precision and designed to stay sharp through many uses. The rust-resistant aluminum heads on each tool are long-lasting and require little maintenance. 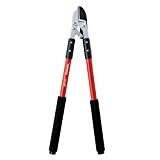 The TABOR Tools Professional Compound Action Bypass Lopper can chop thick branches easily to help you quickly complete your landscaping work. This lopper is 30″ long with 22″ handles to give you leverage when cutting large branches. The handles have rubberized grips which work well even for those with arthritis. The blade has a non-stick coating that makes it easy to clean if it gets dirty. The carbon steel construction is designed to stay sharp. The Fiskars PowerGear2 Lopper is a compact tool that’s only 18″ in length. This tool is ideal for smaller gardens where you don’t need a longer handle for pruning. 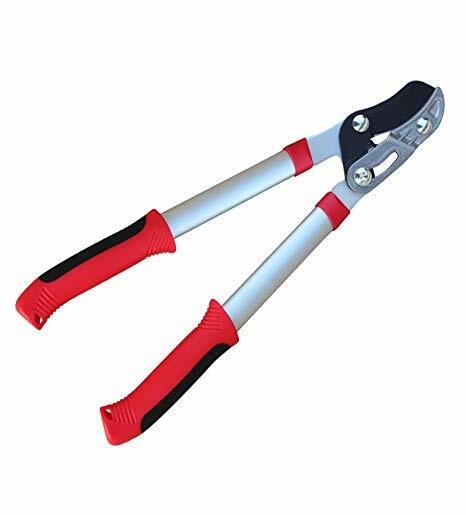 It can cut branches up to 1.75″ in width. The fully hardened by-pass style steel blade has a coating that prevents friction for smooth and effortless cutting. The handles are rounded with an ergonomic design to keep your hands free of strain from extended gardening efforts. 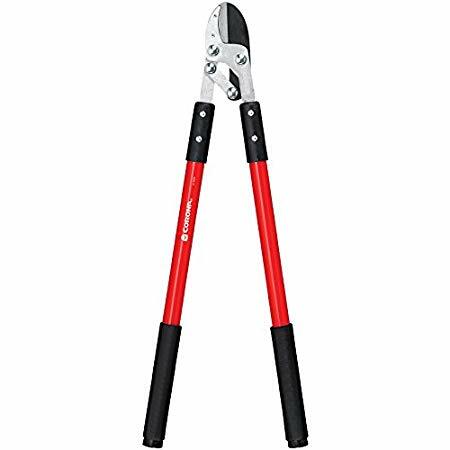 This large capacity lopper from TABOR Tools can cut branches up to 2″ in width making it work well for those seeking a tool that can tackle heavy duty pruning. This lopper allows for quick and easy removal of dry and woody growth and can even be used in professional settings. The blade is made of hardened carbon steel and is designed to stay sharp even after many uses. This tool has an easy to use design that can even be used by those with arthritis. 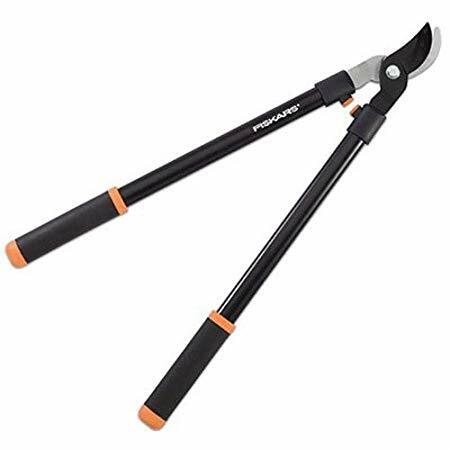 The Fiskars 28 Inch Bypass Lopper is a compact and affordable tool that can cut green living growth like branches on trees and shrubs. 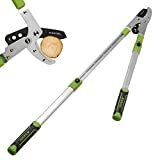 This tool can cut branches up to 1.5″ thick. The blade has a rust-resistant non-friction coating that keeps it sharp through many uses. This coating also helps prevent buildup on the blade of sap or other debris. The handles on this lopper are designed for comfort and have grips to keep hands in place while you’re working. A quality hand garden lopper can be a versatile tool that will help you keep your lawn free of branches and other debris. These tools are easy to use and most have rubber grips so you can keep a firm grip on the handle when working. Loppers come in several sizes that work for different size branches. Those who are looking for a heavy duty tool may want to find a hand lopper that has longer handles for better leverage. It can be beneficial to read online consumer reviews when searching for these garden tools to help you choose one that works well and is designed to last.